There are two definitions for the word jeroboam, and they couldn’t be more different. One is a proper noun: Jeroboam was the first king of the Biblical kingdom of the Hebrews in North Palestine. The other is lower case, and a bit more relevant to what is normally presented here. A jeroboam is a large wine bottle, having a capacity of about four ordinary bottles, or three liters, and sometimes 4.5 liters. The bottle on the left of this photo is a jeroboam of 1989 Haut-Brion wine. The one on the right is a double magnum (no slouch either) of Haut-Brion. Both bottles are featured lots in Zachys’ Fine & Rare Wines auction in New York City, slated for May 19th, online and live at Smith & Wollensky, a chophouse at 797 3rd Avenue, starting at 9 am Eastern time. 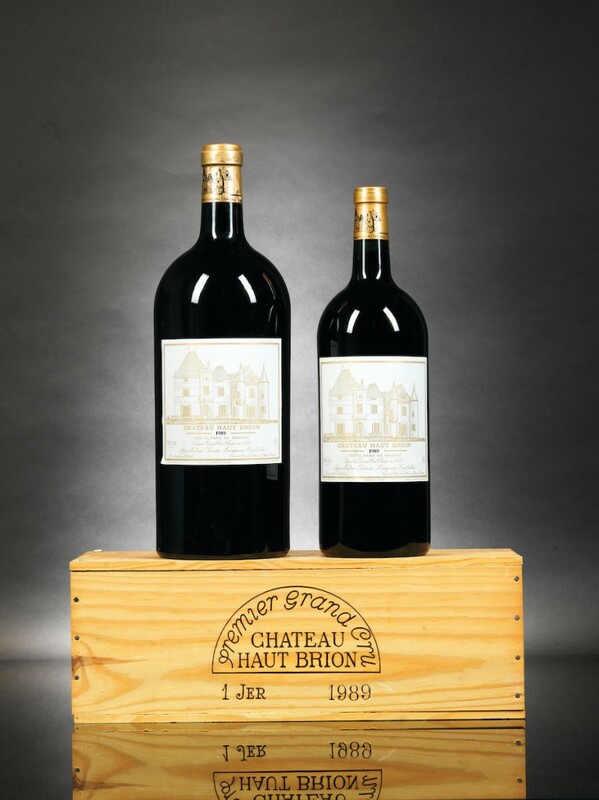 The jeroboam of 1989 Haut-Brion is lot #643 and has a pre-sale estimate of $8,000-$12,000. Other highlights include a case lot of 12 (regular 750ml) bottles of 1989 Haut-Brion (est. $12,000-$18,000); and perhaps the granddaddy lot of the day: a case lot of 12 bottles of 1996 Vosne-Romanée Cros Parantoux, Jayer (est. $50,000-$80,000).